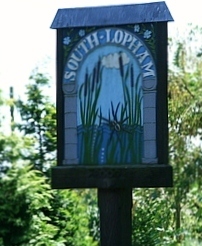 The annual Lophams’ Village Open Meeting and AGM of the Lophams’ Society will be held at the Lophams’ village hall on Friday 12 April 2013. Doors open 7pm for a 7:30pm start. Reports will be given by the Parish Councils, local groups and the Lophams’ Society. All residents of North and South Lopham are invited to attend. Light refreshments will be served and it is an ideal opportunity for you to find out what is going on in the villages and meet other residents. An outline programme for the evening can be found here (PDF opens in new window).